I’ve decided to start toying around with some PVC to make a custom fish filter. After spending like an hour looking at how fish filters work online.. I think I’m ready to now make one. The only thing I’m lacking here is the media filter. If you look at this design, you will notice where I plan to put the filter paper into. The PVC clean out unscrews and I can stuff a bunch of filter paper in there. And whole water is pushed through the pipes, it will filter the water and maybe even get some media rocks for ammonia or nitrate in there. I still have to find a way to stop the ammonia rocks from going threw the pipes but maybe ill shove some amall net in there to catch them. I hate when ammonia rocks are in aquariums and it can’t be good for the fish right. Let me know what you guys think of this so far. Remember that water is going to be constantly fed through the pipe and it will really be going at a fast rate. I believe my rate is like 600 gallons per hour. I’m super excite to see if this baby works. I know it will work as long as the ammonia rocks don’t go through. But I guess I don’t even have to use the rocks either. I could always just do more water changes or get a chemical to drop in for nitrate levels. Making custom fish filters is on my passions to do because they are hard to think of. I would consider my myself to be half plumber as well since my dad is a master plumber haha. Wish me luck because I’m going to go try this. 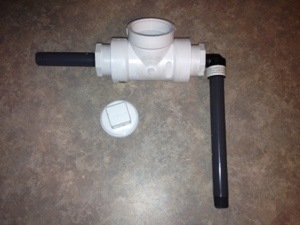 This entry was posted in Aquarium Filters and tagged Aquarium Filter Custom, DIY Aquarium Filter, DIY Fish Filter. Bookmark the permalink.